What’s all the fuss about R-value? Are you shopping for insulation for your home or office building? Summer is the best time to upgrade your insulation and heating, so that when winter comes around, you are prepared for the cold. If you’ve been researching different types and suppliers of insulation, you have probably come across the term R-value. What exactly is an R-value, and how does it affect which insulation products to buy for your building? The R-value of an insulation material indicates the thermal resistance of that material. In other words, the R-value describes how quickly the material will lose heat. Insulation material should retain heat, so its R-value functions as a measure of performance as well. Have a look at our Technical Specifications to see an example. The higher the R-value, the better the insulation material retains heat, which means better insulation for your building. The R-value is directly proportional to thickness of the material, and inversely proportional to the material’s thermal conductivity (also known as the K-value). In layman’s terms, thicker or denser insulation materials are generally more effective, as are materials with low thermal conductivity. Thermal conductivity refers to how well the material transfers heat (in terms of insulation, heat transfer means heat that is lost). After manufacturing an insulation material, a sample is sent to a testing facility to determine the K-value or thermal conductivity. Different types of material will have different conductivity capabilities, and there are a number of different insulation products on the market. What types of insulation products are available? 1.Rolls and batts, are favoured for their flexibility, and come in fibrous sheets. Your geyser blanket is an example of a flexible insulation roll. Also known as blankets, these are made from a variety of materials, such as fibreglass, polyester or ceramic fibres. 2.Loose-fill insulators are fibres or pellets that are blown into a space to fill it. Cellulose is often used for loose-fill insulation. 3.Rigid foam usually has higher R-values than fibrous insulation, but is more expensive. These are rigid sheets or blocks that are placed in your walls or ceiling. Rigid polystyrene is often used for this type of insulation. 4.Foam-in-place insulation is ideal for small or awkward spaces, as it can be blown into small areas where it will expand and harden. It is also great for controlling air leaks around doors and windows. Some manufacturers cut corners by using the K-value of a higher density sample of their insulation material when calculating their R-value. This doesn’t work, as the density will affect the performance of the insulation material. Always ask for the test report that states the density and thickness of the material to verify that the R-value is accurate. This is especially important if you are a building contractor buying in bulk for a large building project. The R-value of the insulation material is the Product R-value. It does not represent the total insulation that your building will achieve, as you need to also factor in the insulation provided by the walls, ceiling and/or roofing of the building. If you are simply looking for replacement insulation rolls for your home, you don’t really need to be concerned about these, but if you are planning a renovation or a new build, the materials used for the walls, ceilings and roof should be evaluated according to their insulation capacity as well. In addition, the style and angle (pitch) of the roof will also affect the total insulation of a building, and poorly constructed buildings or poorly installed insulation will not reach the maximum insulation potential. Certain types of insulation are more appropriate for some spaces than others. If you are unsure, speak to a salesperson or consultant at an insulation supplier or manufacturer. They will be able to advise you on what type and thickness of insulation is best for your particular needs. Some may even offer consultations where they visit your home or office building for a thorough evaluation. Always ask for advice from a professional if you are planning a DIY project. See our Installation Guides. Aim for greater thickness and density for a higher R-value. If you can’t find the R-value on the packaging, be wary of the product. Look for the SABS or Agrément South Africa mark. This means that the product is certified according to health and safety standards. Ask about the product’s sustainability over time. A durable product will provide consistent insulation for longer. 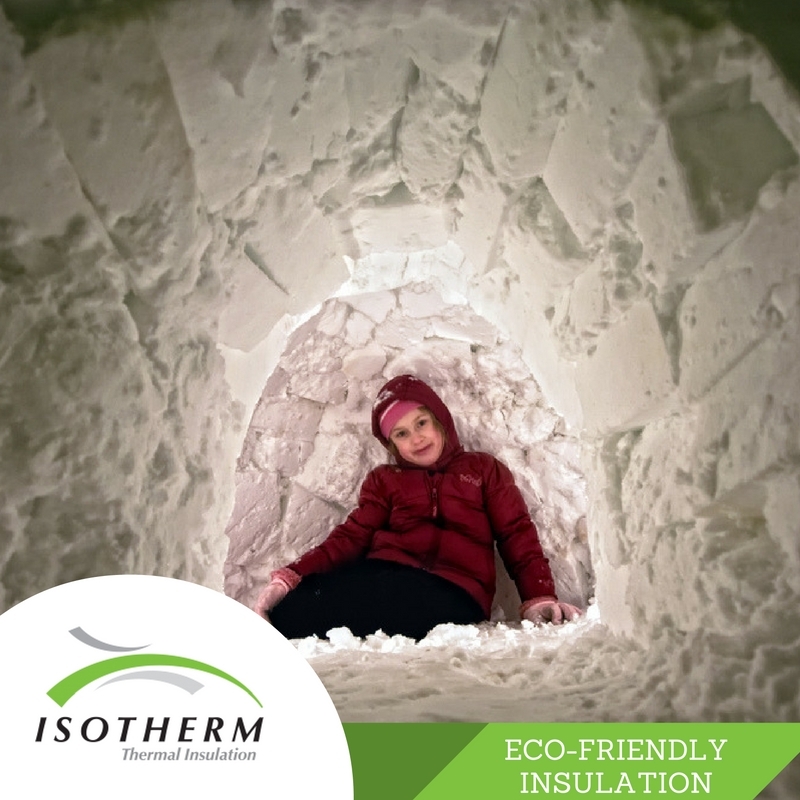 ISOTHERM thermal insulation is an excellent choice for insulating roofs, walls, geysers and hot water pipes.